Skype is an essential business and communications tool, but it can also be a pesky one. Here’s how to get its more annoying features under control. One of the most common complaints with Skype is that it loses its connection to some essential component—either your camera, speakers, or microphone. While some of these problems can be traced to hardware problems, driver issues, or simple Windows errors that rebooting can fix, many are caused by Skype’s own confusion. 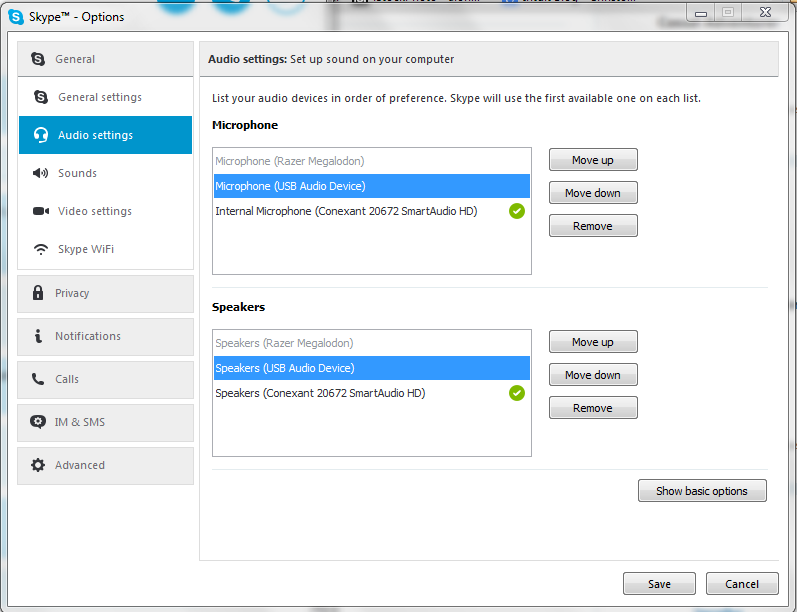 This advanced settings system in Skype can quickly fix those “no microphone detected” problems. Your first troubleshooting stop is under Tools > Options. 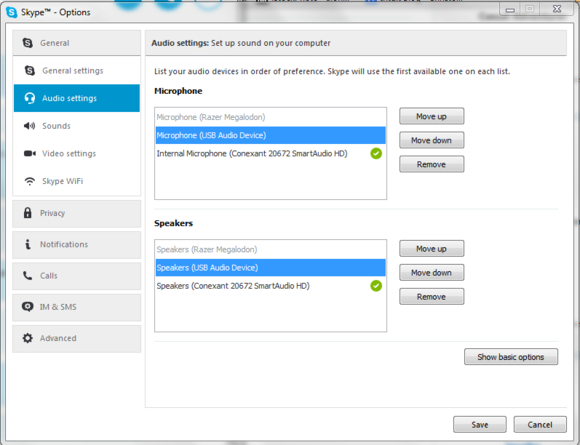 Click Audio Settings, then Show advanced options. Here you’ll find a list of all the audio devices your computer has ever utilized. If you have, say, a headset that you occasionally plug in, it will show up here, grayed out. Problems occur when Skype accidentally attempts to use this device even if it isn’t plugged in. You’ll find a similar drop-down under Video Settings. Another key tip: Once you park your laptop, tablet, or phone, keep it still. After you find a spot with good coverage, don’t touch your device any more. This helps stabilize your wireless connection so Skype can work with a less erratic amount of bandwidth, and it also improves quality by optimizing video compression. Because the background is now static instead of in motion, fewer pixels will be changing in the image, which means more bandwidth is available to the important part of the image. Similarly, ensure other computers on the network aren’t hogging bandwidth. If someone’s streaming Netflix in another room, your Skype connection will suffer. This is a frequently overlooked feature that is installed by default if you aren’t careful, but it can be undone in a few steps. 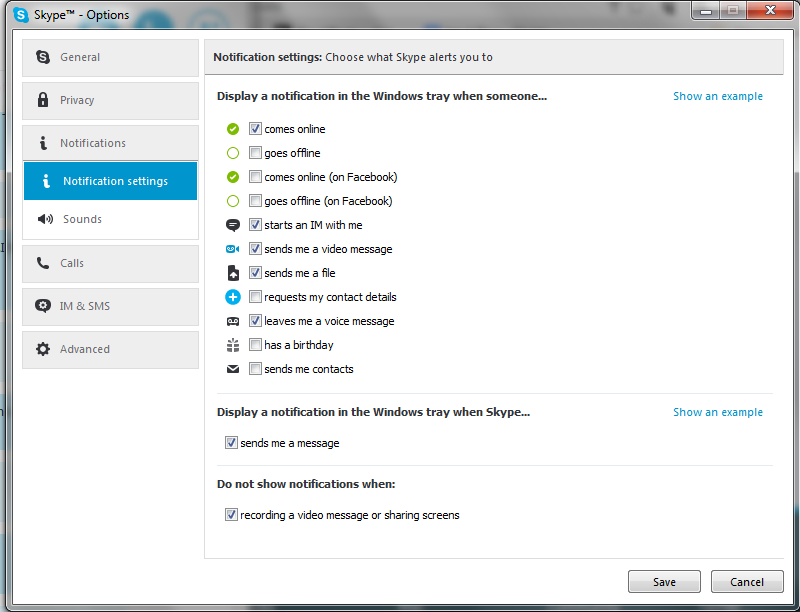 Image: Christopher NullDisabling Skype’s Click to Call feature may require delving into your web browser settings. If Skype’s your only voice-calling solution, it might be handy to replace phone numbers on websites with links that you can click to initiate a Skype session. For the rest of us, it’s needlessly intrusive and makes even the simple task of copying and pasting a phone number difficult. If you've ever made a call from Skype to a landline, you probably have a few dollars in credits lying around. But if you don’t use them at least once every 180 days, Skype inexplicably “deactivates” your credits. It doesn’t delete those credits, however. It just hides them in a virtual back room. 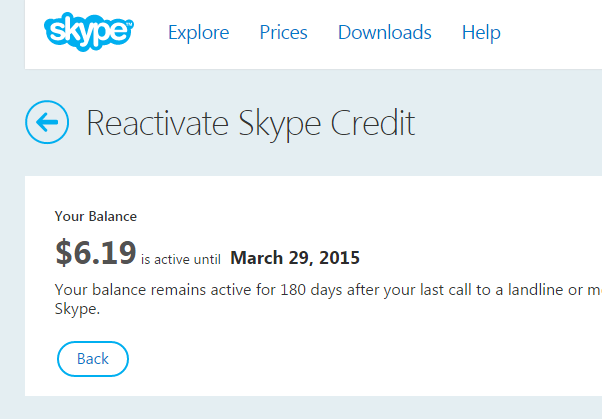 You can use Skype’s credit reactivation system to check your balance and find out when credits will be deactivated. By default, Skype is a noisy companion. Skype will alert you with a chirp or beep and a text alert when just about anything happens, even when it’s the birthday of one of your contacts. Tone things down by visiting Tools > Options > Notifications > Notification settings and unchecking the options you don’t want to hear about. 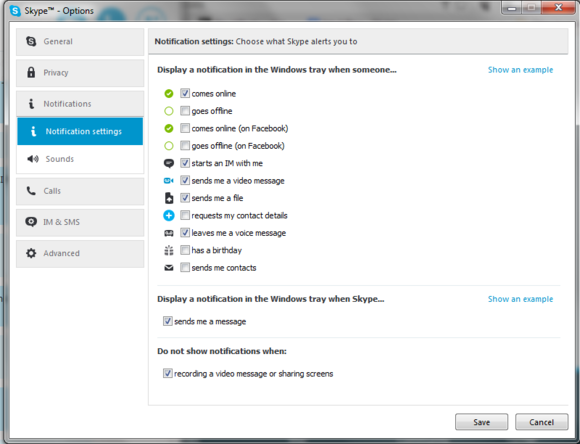 To quiet Skype down further, click the Sounds tab and uncheck any additional options you don’t want, or click “Mute all sounds” to shush Skype permanently. If you don’t need to keep track of birthdays through Skype, get rid of the alerts here.